Working my way through the busy marketplace exploding with vibrant colors and bustling with locals carrying out their daily grind, my heart swells with content. Not a day goes by that I am not grateful to live in such an interesting and friendly place that is so full of life. I have become so accustomed to the laissez-faire lifestyle of Tarija in Bolivia, that I could never return to the rat race. My husband, Jeremy, and I arrived in Tarija three years ago and immediately fell in love with the culture and atmosphere. This small, Argentine-influenced city, near the southern border of Bolivia, resonates an alluring aura that captivates many expats from around the world and converts them into lifelong residents. We chose to live here even after visiting other great places in Bolivia. A referral from a friend led me to discover the potential of freelance writing and how, as a nurse, I could write about healthcare topics. Six months later, I was generating more income than I did working full-time. The long hours in the U.S. paid well, but came with emotional strain and sleep deprivation. When I wasn’t at work, I was co-managing my husband’s busy tree-removal service that required the majority of his time, energy, and attention. On the outside, it seemed we had it all—two lucrative careers and a rock-solid marriage. But the mounting pressures of a busy schedule and long hours were taking their toll. We were grumpy…irritable…tired…stressed. We needed a change of pace. So we sold everything we owned and moved to South America to trade in the American dream for an unknown fate. 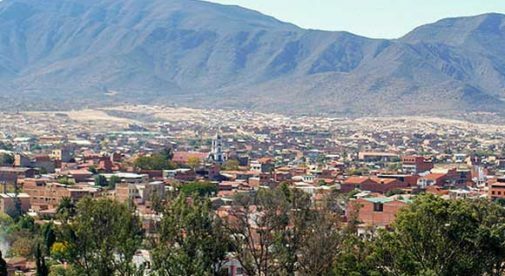 Considering the cost of living is downright cheap in Bolivia and my work can be taken on the road, we have the freedom to travel anytime we want…like Cochabamba, which has a huge network of English-speaking expats and is home to the biggest outdoor open-air market in South America. It’s great for shopping and has beautifully kept parks, plazas, concept restaurants, and fairs. We visited Rurrenabaque in the Amazon rainforest—a town with a population less than 20,000 surrounded by more than 4.5 million acres of jungle. It has nature scenes right out of a magazine. Monkeys, pink dolphins, crocodiles, parrots, toucans, piranhas, wild pigs, and farm animals are abundant and the flora and fauna are phenomenal…a nature lover’s dream come true. Our future here is promising and we are currently searching for land to build a sustainable earth home. For us, the decision to move abroad saved our marriage, enriched our lives, and rejuvenated our souls beyond measure.